I have recently considered sending such a letter to the skeptic and atheist movements (henceforth, SAM), but I couldn’t find the address. Besides, I don’t actually want to “resign,” as I consider myself a skeptic (in the sense of David Hume: one who attempts to proportion his beliefs to the available evidence) as well as an atheist. I am also a humanist, and more recently, a Stoic. Unlike my colleague Neil deGrass Tyson  I don’t have a problem with labels, especially self-selected ones, since I find them to be useful heuristics to navigate a bewilderingly complex world. Besides, I’ve been into SAM for a long time now. I still remember, back in 1997 — my second year as an Assistant Professor of Evolutionary Biology at the University of Tennessee in Knoxville — when a guy named Carl Ledendecker approached me after a talk by a creationist and asked me if I wanted to join the “Fellowship of Reason” (now the Rationalists of East Tennessee ), a group devoted to fighting the good fight on behalf of science and against irrationalisms of all stripes. I thought this was a weird idea, and besides I had to work on my tenure (and I had already started one of the first Darwin Days anyway ). Still, after a while I decided to give it a try. I’m still friends with Carl after all these years, and with a number of others I met first there and then throughout the country while attending local, national and international SAM meetings (including, incidentally, the two co-editors of Scientia Salon). I can honestly say that being a part of SAM has immensely enriched my life, added meaning to it, and hopefully has allowed me to contribute my expertise and reflections to the general improvement of society, in however small a way. But of course things in life change, and so did my professional situation and my personal priorities. Six years ago I made the switch to being a full time philosopher, and last year I was hired by City College in a position that allows me to pursue new venues of both scholarship and outreach. This has meant writing more about philosophy and less about atheism and skepticism — particularly considering that SAM has become a somewhat inhospitable environment for philosophical dialogue anyway . As a result, I first ended my long running (14 years!) blog, Rationally Speaking ; then my Skeptical Inquirer column, Thinking About Science (12 years!) ; and finally, participation in my podcast, also named Rationally Speaking  (my former co-host, Julia Galef, is capably continuing that one). During that time I had managed to publish three books clearly aimed at a SAM audience: Tales of the Rational: Skeptical Essays About Nature and Science , Denying Evolution: Creationism, Scientism, and the Nature of Science , and Nonsense on Stilts: How to Tell Science from Bunk . That, I submit, is a lot of commitment to a movement. My disengagement has been gradual and not really planned, but rather the result of an organic change of priorities and interests. It has, however, also been accelerated by a number of observations and individual incidents. The most recent one, which finally prompted me to write these reflections for public consumption, was a private email exchange between Noam Chomsky and Sam Harris, which was eventually made public by the latter . I have read quite a bit of Sam Harris (too much, in fact), and I have made it very clear what I think of him . I have also read quite a bit of Chomsky (not enough, unfortunately), and he is one of the few people that I honestly regard as a role model, both as an intellectual and as a human being. So I began reading the exchange with trepidation, and gradually my stomach got more and more turned by what I was seeing. I invite you to put down your iPad or Kindle, or whatever you are using to read this post, and go read the exchange in full to make up your own mind about it. If your reaction is that Harris was trying to have a genuine intellectual discussion and that Chomsky was unfairly dismissive, then there probably is no point in you wasting time with the rest of this essay. If however, like me, you come out of the reading with the impression that Harris was looking for easy publicity, that he displays an astounding combination of arrogance, narcissism and rudeness, and that Chomsky simply did what many of us perhaps should do more often, which is to not suffer fools gladly, then you may enjoy what I’m about to say next. The Harris-Chomsky exchange, in my mind, summarizes a lot of what I find unpleasant about SAM: a community who worships celebrities who are often intellectual dilettantes, or at the very least have a tendency to talk about things of which they manifestly know very little; an ugly undertone of in-your-face confrontation and I’m-smarter-than-you-because-I-agree-with [insert your favorite New Atheist or equivalent]; loud proclamations about following reason and evidence wherever they may lead, accompanied by a degree of groupthink and unwillingness to change one’s mind that is trumped only by religious fundamentalists; and, lately, a willingness to engage in public shaming and other vicious social networking practices any time someone says something that doesn’t fit our own opinions, all the while of course claiming to protect “free speech” at all costs. Let me give you some examples and name some names of big boys who can take the criticism and who will keep doing what they have been doing regardless of what I write anyway. Then we have Neil deGrasse Tyson. Great science popularizer, but also prone to anti-intellectualism in the form of dismissing an entire field (philosophy) of which he knows nothing at all , not to mention his sometimes questionable behavior when it comes to intellectual fairness, as even my colleague (with whom I often disagree) Jerry Coyne has firmly pointed out . That particular episode had to do with yielding to the whims of yet another physicist/anti-intellectualist who has become a darling of SAM: Lawrence Krauss . And speaking of great science popularizers who are very much adored within SAM: Richard Dawkins has actually trashed yet another field (besides philosophy) of which he knows nothing: epigenetics and the study of its inheritance. Luckily, what he referred to as a “bandwagon” (actually very sound, cutting age biological research) keeps going regardless of Dawkins’ opinion, producing thousands of papers every year and securing tens of millions in funding from evidently profoundly misguided federal agencies. And let’s not go (again) into the exceedingly naive approach to religious criticism that has made Dawkins one of the “four horsemen” of the New Atheism. One can’t talk about either Dawkins or the Horsemen without at least in passing mentioning Christopher Hitchens, a brilliant polemicist, very funny and caustic writer, who however couldn’t make up his mind about his politics, ranging from Trotskyism to neoconservatism, all the while being universally eulogized by SAM as a genius and a saint (both of which he would have laughed at heartily) when he died . Last, but certainly not least (dulcis in fundo, as the Romans used to say) one cannot conclude this parade without mentioning P.Z. Myers, who has risen to fame because of a blog where the level of nastiness (both by the host and by his readers) is rarely matched anywhere else on the Internet, and who has lately discovered (together with a number of others that I don’t need to mention here) both social progressivism and feminism (or perhaps he invented them? ), and has immediately proceeded to confuse them, somehow, with tenets of atheism. I hope others equally worthy will not feel too bad about being left out of the above list. These are just examples of what I think has been an obvious general trend in SAM over the last decade or more. Besides, I’m no Dante, exhaustively allocating slots in the Circles of Hell (or, occasionally, Purgatory). My goal isn’t to damn Richard Dawkins or Sam Harris or whoever for being wrong (or simply in disagreement with me!) about this or that. We can all disagree, and we are all wrong at least some of the time. My dismay is at the celebrity culture and degree of groupthink that now permeates SAM — both of which, you would think, are exactly antithetical to what skepticism and atheism are supposed to be about. So, am I simply nostalgic for the alleged good old days of SAM, before the 21st century onslaught of the New Atheists and the rise of the anti-intellectual physicists? Not really. First off, because I wasn’t a part of that movement, so I did not experience it first hand. Yes, I’ve met Paul Kurtz before he died, and he had his own well known issues. I’ve never had the pleasure of meeting Carl Sagan, but there are reports about his “Harvard Marxist” days and other incongruences too. I have a high degree of personal esteem and respect for people like Ken Frazier (the long time editor of Skeptical Inquirer), cosmologist Sean Carroll, and plenty of others. But I’m pretty sure I don’t worship them, nor do I treat them as celebrities, nor do I think they would particularly appreciate it if I did. Rather, what has become clear to me is that one needs to look across fields and through time in order to find role models, and even those need to always be treated with a certain degree of skepticism. I can be inspired by David Hume, Charles Darwin, Albert Einstein and Bertrand Russell, for instance, despite the well known personal failings of the latter two. And that, of course, means just staying within the narrow confines of science and philosophy. But there is so much more to humanity out there: history, literature, art, and just plain everyday decency. So in a sense my disengagement from SAM is part of my quest to look more broadly, not to be confined by the strictures of a club to which both Groucho and I would feel odd belonging to. This doesn’t mean I will no longer write for SAM audiences, or give talks to conferences (when they invite me, which may happen less and less the more people I piss off! ), or help out in general in the most ecumenical way possible. But it does mean that I see the future of SAM differently from some others: we have moved from the fringe position of the early days (say, when Skeptical Inquirer was called The Zetetic, and Madalyn Murray O’Hair was busy establishing the very same culture of in-your-faceness that her organization has almost unfailingly maintained since) to the mainstream (from the publication of the early New Atheist books until now, and likely into the proximate future). Where to next, then? Toward a true integration and a dialogue (as opposed to a shouting match) with the rest of society, when we will not need special organizations and dedicated meetings, because secularism, skepticism, and political progressivism (including feminism) will be part of the normal cultural landscape, embedded by default in ongoing discussions on how to make this a better world. That’s where my target audience is now: I’d rather have a productive conversation with an intelligent Christian than a frustrating one with an obtuse atheist, and believe me, there is plenty of both out there. 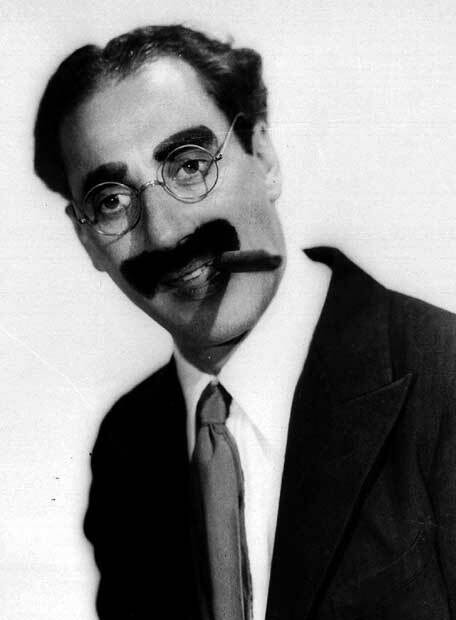 For an interesting analysis of the famous Groucho quote, see: The Original Function of Groucho Marx’s Resignation Joke, 16:9, February 2007. See my essays: Why I am a humanist, Rationally Speaking, 14 October 2008; On the scope of skeptical inquiry, Rationally Speaking, 21 October 2009; On being a fulfilled atheist, Rationally Speaking, 14 July 2011; Why not Stoicism?, Scientia Salon, 6 October 2014. Neil deGrasse Tyson on Why He Doesn’t Call Himself an Atheist, Rationally Speaking podcast, 9 March 2014. Darwin Day at the University of Tennessee. New Atheism and the Scientistic Turn in the Atheism Movement, by Massimo Pigliucci, Midwest Studies in Philosophy 37 (1):142-153, 2013. So long, and thanks for all the fish, Rationally Speaking, 20 March 2014. Thinking About Science: Essays on the Nature of Science, RationallySpeaking.org. Tales of the Rational: Skeptical Essays About Nature and Science, by Massimo Pigliucci, Freethought Press, 2000. Denying Evolution: Creationism, Scientism, and the Nature of Science, by Massimo Pigliucci, Sinauer, 2002. Nonsense on Stilts: How to Tell Science from Bunk, by Massimo Pigliucci, University of Chicago Press, 2010. Noam Chomsky undresses Sam Harris: Stop “pretending to have a rational discussion”, Salon, 5 May 2015, which includes the full transcripts, with no commentary other than the title (which says it all) and a very short intro paragraph. Science and the Is/Ought Problem, by Massimo Pigliucci, Skeptic magazine, February 2011. Rationally Speaking: Pigliucci and Schermer on the role of science in morality, NECSS, 2013. Neil deGrasse Tyson and the value of philosophy, by Massimo Pigliucci, Scientia Salon, 12 May 2014. Neil deGrasse Tyson blows it big time, by Jerry Coyne, 14 March 2013. See: Lawrence Krauss: another physicist with an anti-philosophy complex, Rationally Speaking, 25 April 2012; and Krauss does it again, so soon!, Rationally Speaking, 17 September 2012. Massimo’s Picks, special Hitchens edition, Rationally Speaking, 25 December 2011. Jerry Coyne loses his cool, Dawkins his style, Rationally Speaking, 27 December 2011. Ah, “the essence of Maxwell’s theory” –sure for some definition of “essence,” but certainly not the literal theory itself. If you have a problem with my statement that science is a project that works with incorrect theories that slowly carve out a more and more complete description of reality, then I’m afraid that pretty much any scientist who knows anything about their field is not going to be coming to your aid. More to the point, you, like Karl, seem not to be reading what I’ve actually written, because if you account for different definitions, there’s actually precious little difference in what we’re saying (Except that you and Karl seem to be laboring under an odd definition of “false”). But then both of you have said the exact same things that I have, so I can’t tell what you’re getting out of this other than, again, scolding people who dare say something that (to you) sounds “anti-science.” I’m sorry, have I not sufficiently softened the tone nor added enough deference in my true statements regarding science? Is it not enough to say that it’s amazingly insightful, ridiculously accurate in its regimes of validity, etc? I guess I’ll have to do some penance then to atone for my sins. I am not a philosopher. I have nothing against most philosophers, and I acquired a minor in philosophy and have taken a graduate philosophy class; however, under none but the loosest definition could I be considered a philosopher. It’s quite telling that you are just assuming with no evidence that I am a philosopher because you dislike something I say about science. What I am –what I do for a living– is teach physics and conduct physics research as a grad student, and the only advanced degrees I hold are in physics. So you couldn’t possibly be more off the mark here, Schlafly. What a really bizarre assertion. Firstly, historically speaking, analytic philosophers are very pro-science. They created Logical Positivism/Atomism. Post-modernism/post-structuralism, contrarily, entirely came from Continental philosophers, particularly the French. Secondly, I am most definitely not a post-modernist/structuralist. I definitely will not accept being thrown into a sack with their lot, thanks, nor do I think it’s even remotely reasonable to think that Pigliucci is one, either. Fieldtheorist, allow me to clarify — I was certainly not throwing you and Massimo into a postmodern sack. What I meant by objecting to the draconian use of the tern ‘wrong’ applied to theory in general, all ‘past’ theories, and presumably all theories to come until some sort of single final theory is achieved if ever — is that it is a way to modify the old discovery model of scientific progress, where we simply find out more and more about what’s out there and how it works. First there seems to be some confusion, in this heated discussion, between ‘science’ the noun, and scientific theory, scientific knowledge, scientific progress, scientific method, etc. and the several ways that, among these larger terms, the words ‘wrong’, ‘correct’ etc can be used. The social constructivists takes scientific theories (as well as practices) and view them psychologically, ethically, politically, sociologically, poetically, historically, and view science’s claim to a privileged status as ungrounded except by bankable empiricism. Social constructivists (embracing many levels of anti-realism, and including non-philosophers of numerous disciplines) starting as far back as Vico’s *verum ipsem factum* – *the truth itself is constructed* have examined the vulnerabilities of scientists and scientific institutions against protestations. The large popularity of the Kuhnian concept of paradigm shift and the Popperian contribution of falsifiability have forced defenders of science to this concession which is actually a sly turning of the tables. “Of course, all theories are wrong! Knew it all the time! Always wrong, but always… self-correcting!” The brazenly crude use of the word ‘wrong’ is only an irrelevant shadow cast by the shibboleth of self-correction. Far from theories really being wrong, they are steps along the path to being right — continually less wrong. Naturally since science is by nature self-correcting, it needs no criticism from other disciplines. However, conceding the ideal of self-correction to scientific process does not entail the absence of strong external influences that can lead it astray.